Those are lilacs, a flower which is featured prominently in Rochester, and therefore our youth. Every year, there'd be talk of attending the Lilac Festival and in later years, I show up SLR in hand, looking to capture black and white photos of the scene. Of course I never appreciated the gravity of this event. For example, I had never stopped to consider that this festival had been held since 1889 and that it corresponded to the first municipal arboretum in the United States. It's the classic fish-and-water problem. 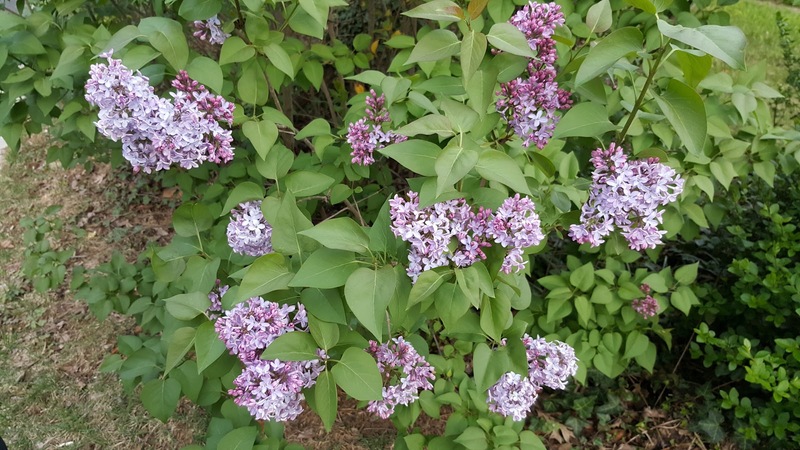 Turns out, lilacs are edible and people do capture their scent to flavor everything from honey to vodka. Unfortunately, the lilacs we passed yesterday weren't wild. I doubt the owners of the property where said lilacs were growing would much appreciate me snipping off their perfect flowers to make an edible treat. But still, it's good to know. I'm thinking I need to try growing lilacs. What better way would there to be to take a little bit of history and inject it into our every day? Already was a big-fan of your blog. 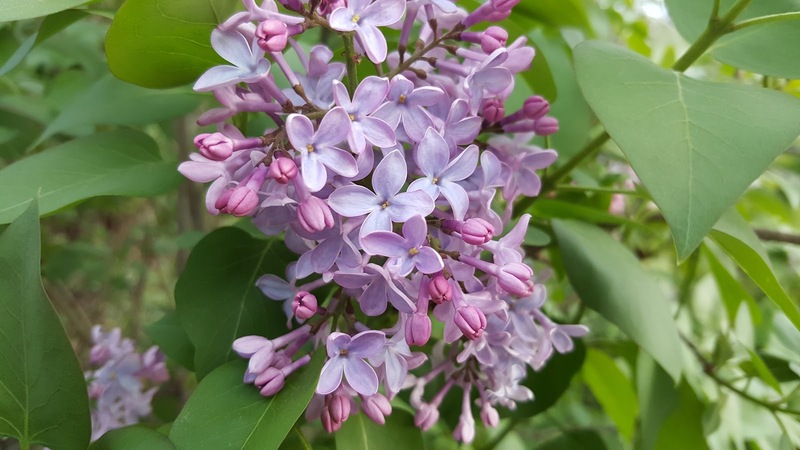 A photo of you eating a homeowners lilacs as they angrily approach you would convert your readers to die-hard fans.